The head of Iran’s Basij paramilitary force has claimed it is raising an army of “millions” to flood Gaza and Syria to support Tehran’s allies. 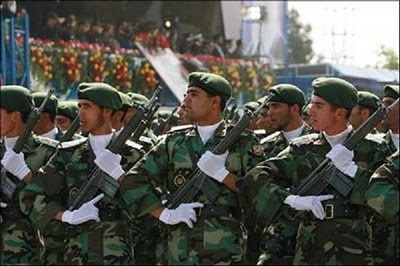 Fars, Iran’s semi-official newspaper, reported that that Brigadier General Mohammad Reza Naqdi, Commander the Basij paramilitary force, as saying: “Millions of Basijis (volunteer forces) are ready in Iran to be dispatched to Syria and Gaza and they have come to us (for registration).” Iran’s Basij forces are much feared inside the country and known for their brutality in quashing anti-government dissent. They were highly utilized during Iran’s violent repression of the student protests in the wake of the Iranian elections of 2009. Thousands of Iranian volunteers – mostly tied with Iran’s Revolutionary Guards force – are already reportedly fighting alongside pro-regime forces in Syria, where Iran is attempting to forge a Syrian Hezbollah composed of Shia Islamist foot-soldiers.